Northern Spain is known for many things — steep mountains, late-night tapas, excellent sherry, and the quirky, surreal architecture of Antoni Gaudí. While many Gaudí buildings exist in the region, his most famous works are in Barcelona. Part of the Modernisme and Art Nouveau movements in Spain, Gaudí drew on architectural history, nature and religion for inspiration. A unique, memorable way to explore Barcelona is through getting lost in some of Gaudí’s most famous works. Begin at Parc Güell. Built at the turn of the 20th century, this park with excellent views of Barcelona showcases Gaudí’s stunning art and architecture as it blends in with the natural beauty of the park. The garden — characteristic of Art Nouveau and Gaudí’s style — represents his “naturalist” phase. Intentionally set in the leafy green of the park and gardens, the mosaic-covered artwork depicts the natural world in theme, colour and form. Detail of mosaic tiles in Parc Güell. 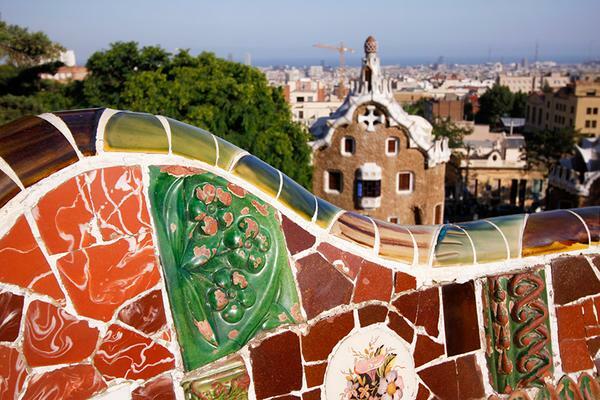 From Park Güell, wander toward Gaudí’s most famous casas (houses). Start with the Casa Vicens, Gaudí’s first famous building. It is an imaginative and creative residential building constructed between the years 1883–1888 for a wealthy Barcelona family. The ceramic decorations in the facade reflect the owners’ profession (they managed a ceramics factory). Gaudí also incorporated Islamic styles as a nod to Spain’s Moorish history. Heading down along the Passeig de Garcia, Casa Mila is the next important Gaudí building. This casa is Gaudí’s last civil work and was built between the years 1906–1912. The exterior is a curving, undulating stone facade that ripples around the street corner. The house was built to explore the irregularities and peculiarities of the natural world. The building looks more like an interpretive sculpture than a home to live in! The facade of Casa Mila almost seems to undulate. From one casa to another, up next is the Casa Batlló. 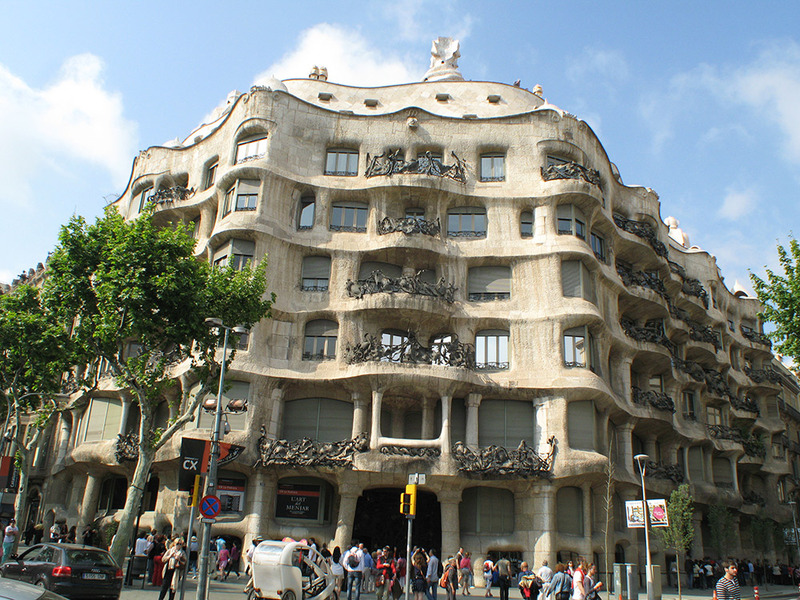 This building firmly earned Gaudí the title of “rebel” as the structure broke all bylaws of Barcelona during its construction. It’s believed to be inspired by the anatomy of a dragon (the scaled roof is arched and curved like a dragon’s back), though at times looks more like a creature from the sea. The building has very few straight lines and much of the exterior is decorated with colourful mosaics made of broken ceramic tiles. Just a few years after its construction, the city council decided to change its tune and award the building the title of building of the year; so much for those bylaws. 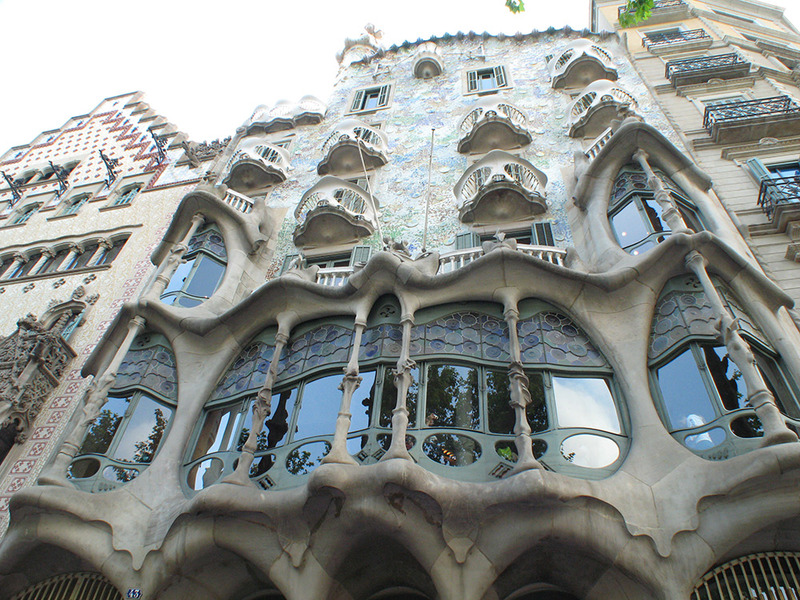 Casa Batlló is believed to be inspired by the anatomy of a dragon. Continuing into the Gothic Quarter, the Casa Calvet demonstrates that the architect could stick within the realm of convention… for the right client. In this case it was a textile manufacturer. This building is the most conformist of his works because it was situated in one of the most elegant and upscale neighbourhoods of Barcelona and it had to be squeezed in between two older structures, which limited what Gaudí could do. Unusual for Gaudí, Casa Calvet displays balance, symmetry and adheres to traditional architectural rules. For example, the stone facade is an example of Baroque architecture. La Sagrada Família is still under construction. 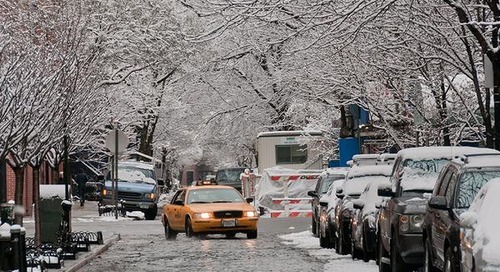 Even still, there is beauty in the details. 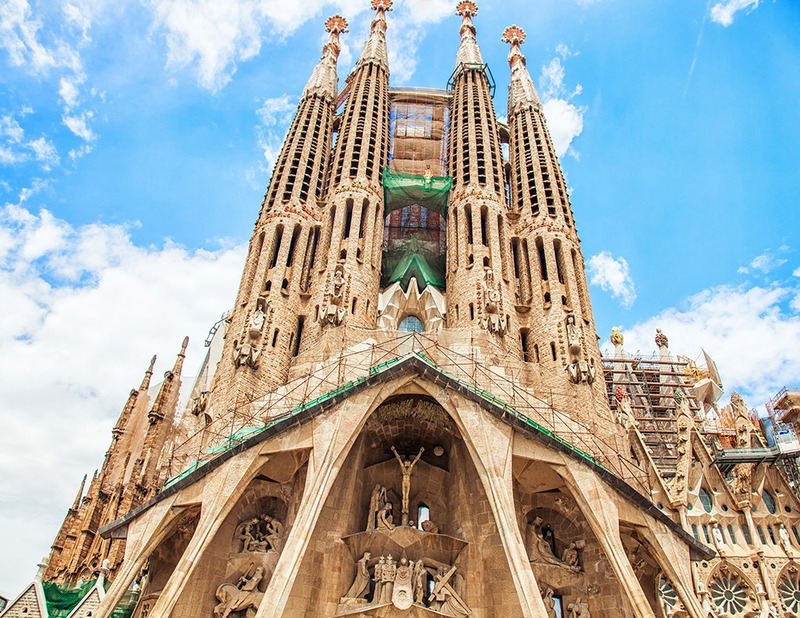 Exploring these great works in Barcelona is both a chance to get lost in a series of stunning UNESCO World Heritage sites, as well as your own imagination through the exploration of his fantastical architectural masterpieces. His is one of the most unique styles ever created. 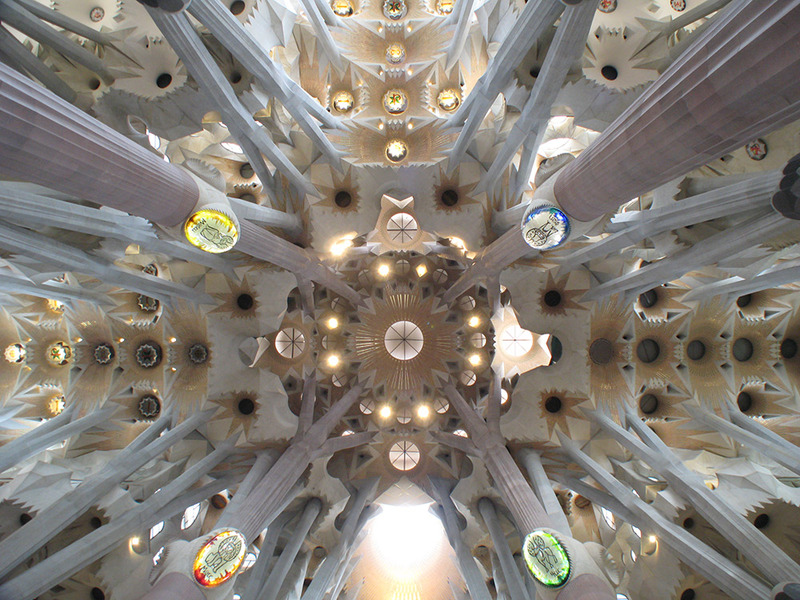 Getting lost in Gaudí makes a memorable trip to Barcelona and Northern Spain. G Adventures runs a number of departures in Spain encompassing a wide range of departure dates and activities to cater to different tastes. We’re thrilled at the prospect of showing you this big blue planet of ours — check out our small group trips here. Join us on safari in South Africa with these five roaring regrams.